Former Luton boss John Still has come out of retirement to take over at his old club Maidstone United. 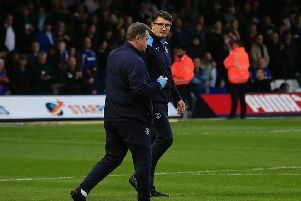 The 68-year-old had called time on his career last month after more than 40 years in the game and 2,000 matches but after talks with the club’s owners, he will be back in the dugout for Saturday’s National League clash at Leyton Orient. Still, who had been with Barnet this season, led the Stones into the Football League 30 years ago and has signed an 18-month deal as head of football. He was quick to appoint another member of Luton's Conference-winning backroom staff as Hakan Hayrettin left his role as Braintree manager to join him at the Gallagher Stadium.